A Complete Day of High Impact Training in A/E/C Project Management. 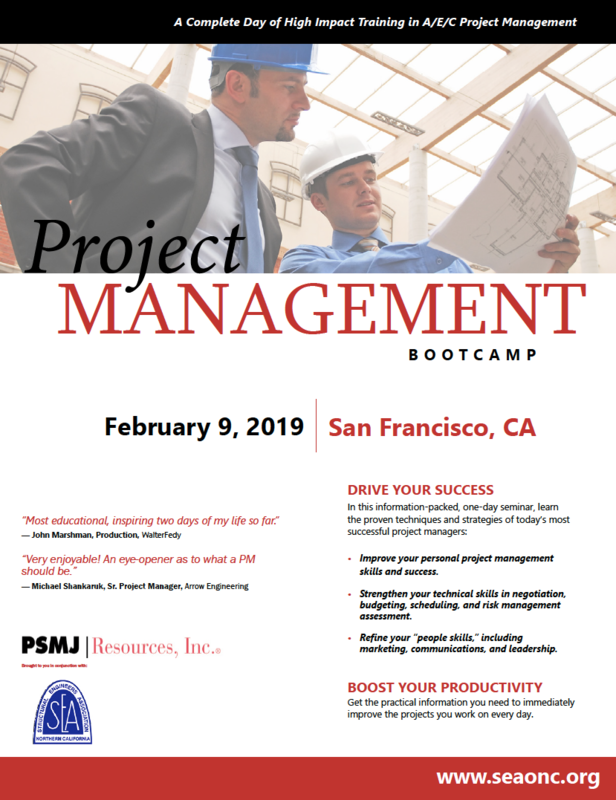 In this information-packed one-day seminar, learn the proven techniques and strategies of todays most successful project managers. This bootcamp is designed to address a wealth of knowledge and insight gained from decades of real-world PM experience. Chris has more than 40 years of experience in the A/E/C industry. He has led teams in Project, Program and Construction Management as well as Design-Build engagements for several international architecture, engineering and construction firms. As Director of Project Management and Integrated Services, he has been responsible for client relationships as well as training, development and management of project delivery processes for fully integrated and unbundled A/E services for commercial, corporate, and institutional facilities. He has trained thousands of A/E/C PMs in the best practices of project delivery. **Please contact the SEAONC office if you plan to pay by check.